Galliano is the inspirational piece you need to give life to your home decor! 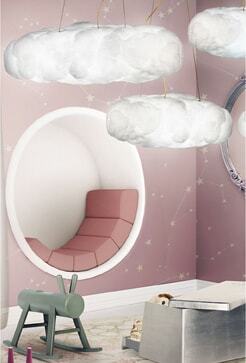 Here you will find Galliano Family, that integrates the perfect lighting design for you. Galliano has very specific inspiration behind, that you might not know about, that’s why we are presenting it to you today! If you don’t believe it you can just scroll down and find out for yourself! Galliano was a London-based acid jazz group that was active between 1988 and 1997. The group was the first signing to Eddie Piller and Gilles Peterson’s Acid Jazz record label. The original members were Rob Gallagher, Constantine Weir (vocals), Michael Snaith (The Vibe Controller) and Crispin Robinson (percussion). Other important members included Valerie Etienne, who participated in the recording of all their albums, along with other musicians. 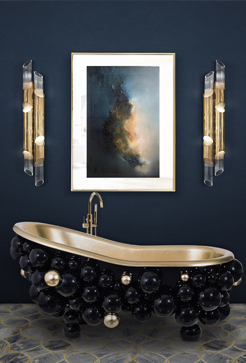 In 1997, Gallagher broke Galliano up and pursued other musical projects, however they still an inspiration for many, including DelightFULL. 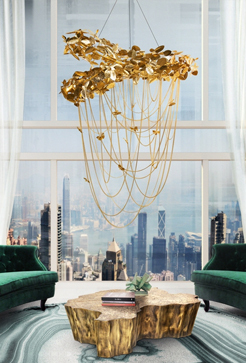 Galliano round chandelier is a mid-century modern light with a shape that was inspired by a pipe organ. 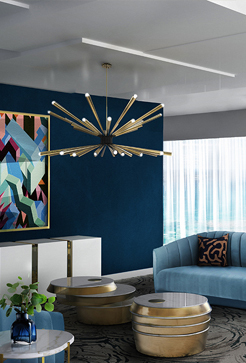 With sculptural shapes and an extremely balanced design, this modern lighting design gets even more beautiful when you see the light being cast through its pipes. 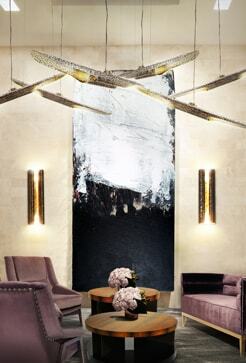 It’s possible to customize this suspension lighting in any shape or dimension: round, oval, square or rectangular. Handmade in steel, the features include a nickel plated finish applied by some of the finest artisans in Portugal. The interior of the lamp shades is in white matte, enhancing the lighting design with a perfect mix of form and function. 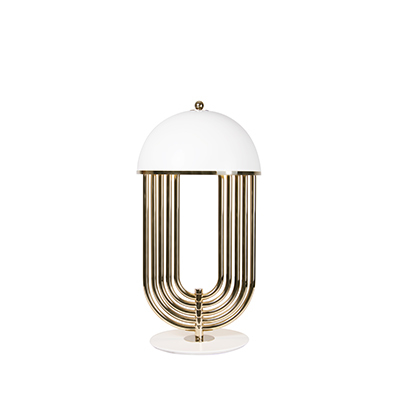 Ideal to use as a modern dining room lighting fixture or as an entrance lighting, Galliano has a mid-century modern appeal that won’t go unnoticed. 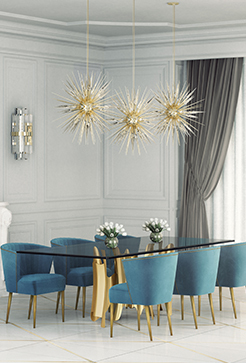 Galliano pendant lamp features a modern, sleek design that will complement the decor in any setting. 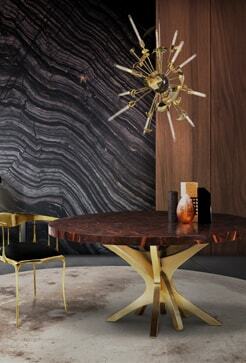 This beautiful unique design industrial pendant lighting is simply one of DelightFULL’s top best sellers. Up to 5 tubes and with a structure tailor-made in steel, Galliano produces a unique and gorgeous lighting effect. 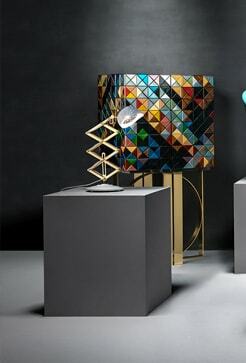 The body is covered by the gold-plated interior finish, while on the outside they were painted a matte black, which provides a unique pendant lamp. 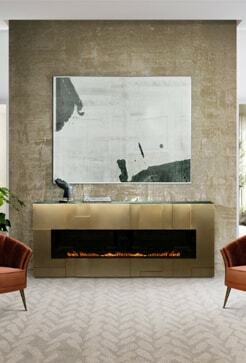 Clean lines and mid-century modern vibe combined with versatility make Galliano a useful delight. 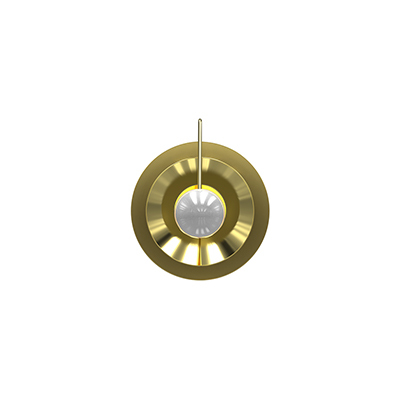 All in all, this pendant ceiling light is ideal for a variety of residential and commercial application including industrial kitchens, living rooms, bars, and restaurants. Feel Inspired: WHAT HAVE THESE LIGHTING DESIGNS IN COMMON?